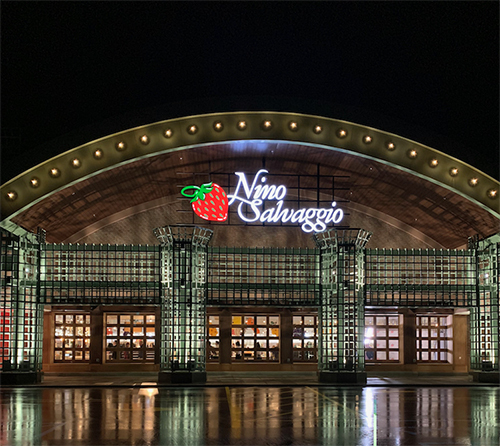 Nino Salvaggio International Marketplace is opening a new location on Friday, Dec. 28 in Bloomfield Township at the southwest corner of Telegraph and Maple roads. The grocery and specialty-food-needs store joins current locations in Clinton Township, St. Clair Shores, and Troy. The new 42,000-square-foot location will feature a wide selection of fresh produce, meats, a bakery, wine and beer from around the world, floral offerings, foods to-go, kosher sections, and a café. The company was founded by the late Nino Salvaggio in St. Clair Shores in 1979. Taylor and Nino Salvaggio’s children, Leo Salvaggio and Andrea Nicolella (along with her husband, Frank Nicolella), work together to lead and operate the retailer. Roncelli Inc. in Sterling Heights constructed the store, and Birmingham’s Ron & Roman designed it. The new location will create 200 jobs.